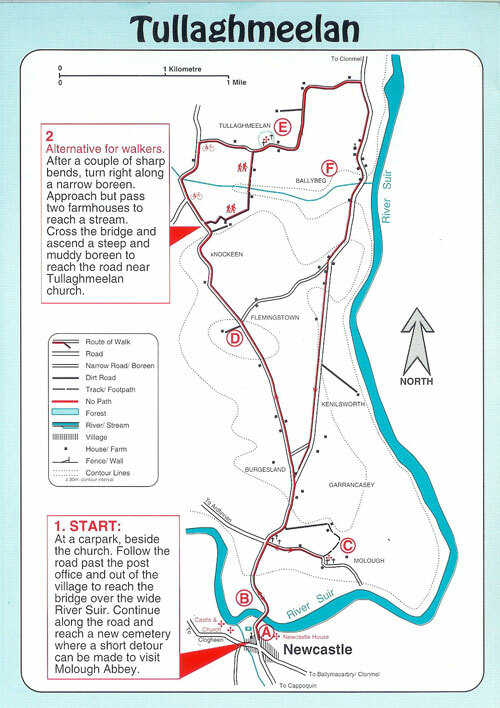 This walk will lead you along the quiet back roads north of Newcastle Village visiting Molough Abbey and Tullaghmeelan churchyard. The walk never deviates too far from the River Suir. It is an easy walk, mostly along narrow country roads. The alternative route, taken near Tullaghmeelan, may be a bit muddy however. It is also a suitable route for a short cycle tour. 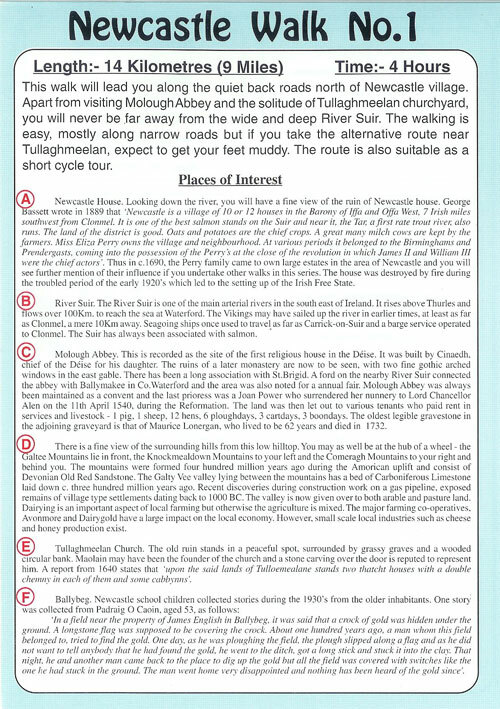 Thanks to Forbairt Caisléan Nua na Siuire for the map and text. You can download the map and text as a PDF file here.